Daniel & Tim talk with poet David Campos, whose latest collection "Furious Dusk" won the 2014 Andrés Montoya Poetry Prize. David is the first poet out of Fresno (the home of Andrés Montoya) to win the prize, and he explains how Andrés Montoya greatly influenced his style of writing. David is also a screenwriter, and he talks about how that experience helps him organize his poems by "building a whole movie through poems." 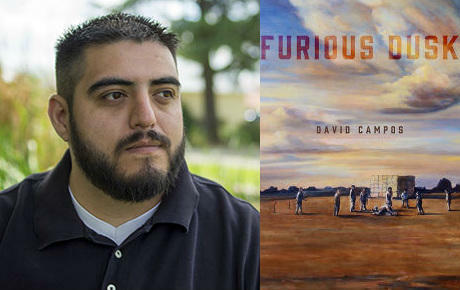 For the Poem of the Week, David Campos reads "A Wage-Claim Conference in Fresno," from his collection "Furious Dusk."